Tampa, Fla. – Ryan Callahan returned to action for the Lightning as they defeated the Detroit Red Wings by a score of 3-1 on Thursday night. The win was Tampa’s 12th consecutive victory over Detroit, a streak that extends back to 2015. 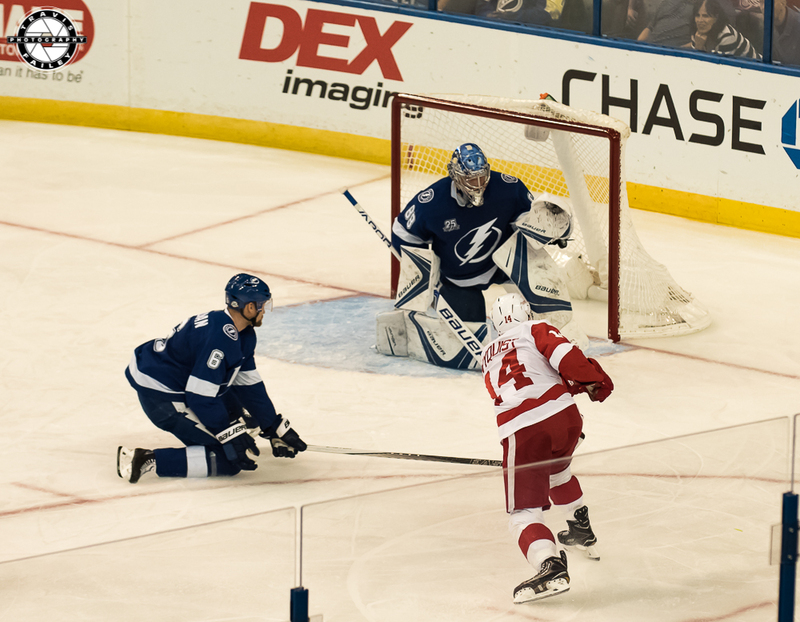 The Lightning held control for much of the early going, with Detroit finding trouble controlling the puck or making a meaningful push early in the first period. To make matters worse, the Red Wings allowed the Bolts to play with a man advantage for four of the games’ first 12 minutes. Despite entering the game with five power play goals on 16 attempts (31.3%), the Lightning failed to convert on any of their four chances. Tampa had multiple chances when playing with the man advantage. 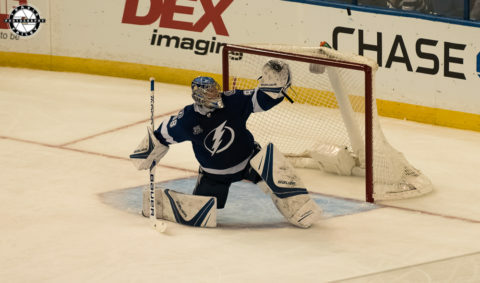 Shots of note include two signature one-time chances from Steven Stamkos that he couldn’t put on goal cleanly and a blue line rocket from Mikhail Sergachev that rang off of the post. 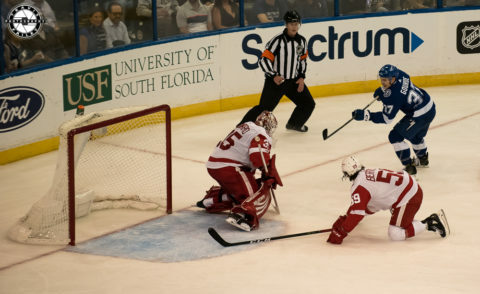 With 12:27 remaining in the first period the Lightning opened the scoring when the pass in front of the net from Yanni Gourde was redirected by the skate of Brayden Point past the Red Wings’ goaltender, Jimmy Howard. The score would remain 1-0 into the first intermission with the Lightning leading in shots 13-7. 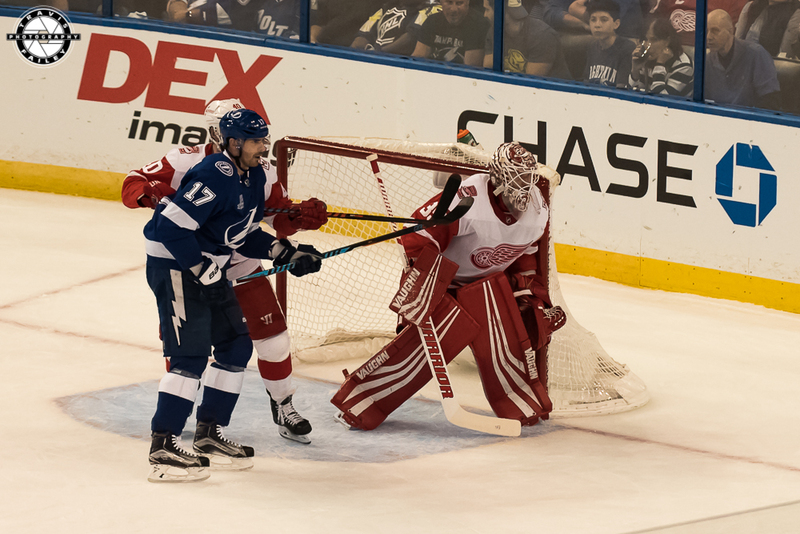 In the second the Red Wings were much more aggressive and the Bolts allowed Detroit to play freely by amassing three separate penalties in the period, including a double minor to Paquette for roughing. 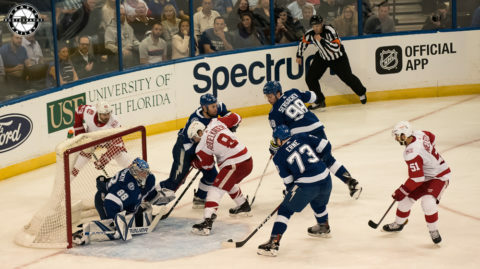 The Red Wings weren’t able to convert on any of their power play chances as Tampa’s penalty kill unit stretched their perfect streak to five games, but just over six minutes into the second period, moments after the Lightning returned to full strength, Detroit was able to break through. 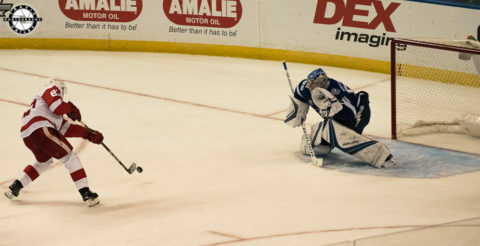 A loose puck and a tussle in front of the net allowed the Wings’ Trevor Daly a clean shot. Andrei Vasilevskiy made the initial save but a rebound opportunity from Luke Glendening slid past a grounded Tampa goalie for the game-tying goal. The game would remain tied for much of the second period but following a shot from Sergachev, the puck was collected by Nikita Kucherov and sent in front of the Detroit net where Steven Stamkos wasted no time burying the one-timer for the eventual game-winning goal. 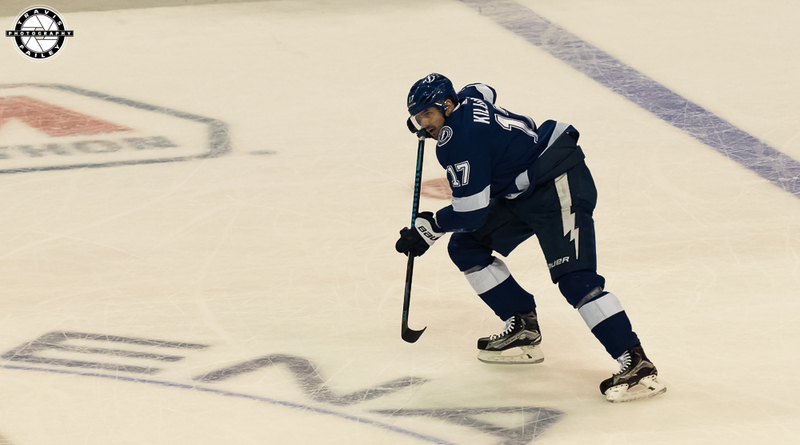 The Lightning would add an empty net goal from Alex Killorn and seal the victory, improving their record to 4-1-0 through five games. The story throughout the entire game was the goaltending tonight. Both Vasilevskiy and Howard played phenomenal and while Vasilevskiy saved 29 of the 30 shots he faced and had some nice saves of his own, Howard made highlight reel save after highlight reel save to keep the Red Wings competitive until the final goal. Howard finished the night saving 28 of the 30 shots he faced. The Lightning will return to action on Saturday, October 20th as they head to Minnesota to take on the Wild.